I know there's a lot of confusion out there on whether the star on VICE Cosmetics is a copycat or not, or where it originally came from. Well, in today's new blog post, I take an in-depth look (Yasss! In depth!?) at this so-called star design! lies behind, or in front rather, of Vice Ganda's neck. The VICE Aura collection comes in a round metallic pink packaging with the VICE Cosmetics logo. There's a star design at the center of the palette which is actually a replica of Vice Ganda's tattoo on his neck. Despite this issue, Vice Cosmetics is still competing in beauty and make up department against other popular brands... and winning! Yaass! Enter the VICE Aura Cheek collection. Earlier this week, I got an invite to unlock a Top Cheek-ret Mission with VICE Cosmetics at the newly opened VICE Flagship Store, at the Ground floor, Market! Market! So glad to be one of the first to see and experience the VICE Flagship store. Watch the video for a sneak peek! For the cheeks, I always apply blush with control. Because I believe, (yes, beaucon!!!) less is more! And I, thank you. haha Seriously, besh. Super sulit because it's very multi-purpose. You can use it on your eyes as eye shadow and on your brow as an eyebrow powder. Best part? Super affordable, besh! Retail price of each palette is ₱145.00. The Aura Cheek is highly pigmented with colors ranging from earthy browns to pops of bright pink. There are 8 shades: Shala, Manyika, Title, Sweet Lang, Applauded, Winner, Byucon, and Talyada. The Aura Glow has 3 highlighters; Shining, Shimmering, and Splendid. Shining is the gold highlighter na ang lakas maka dyosa, while the Shimmering has rose gold shade that's perfect for all skin tone. Splendid has a champagne shade which is the best pick for mestiza. 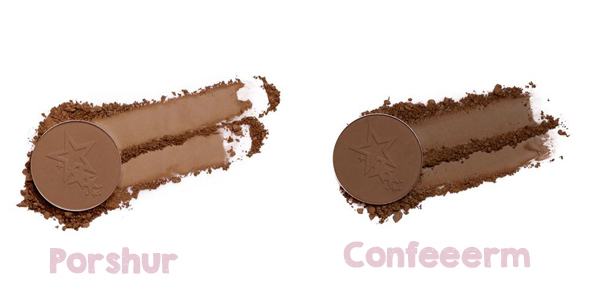 For the Aura Contour, you can either go for Porsyur (for light to medium skin tone) or Confeeerm (for morena). I really like that the soft blendable powder easily blends on the skin. Effortless, besh! The Vice Aura Collection is available at Watsons, SM Department Store, and of course the newly opened flagship store in Market! Market!. You can also buy online from Shopee, BeautyMnl, and Lazada. Michelle is an anti-losyang mom who likes to write about parenting, fashion, events, beauty, fitness, tech, travel and ramblings that can make other people laugh/cry/relate. 12-time Blog (Article Writing) Contest winner awarded by Nuffnang PH and other reputable brands. She's also a licensed physical therapist who decided to be a WAHM and yaya of 2 little brats. She's really good at losing her keys and so many other things. So, if you're looking for a perfect mom who has it all together, you came to the wrong person and quite frankly, I don’t know what you’re doing here. :) She's a mom who wants to reassure other moms that it's perfectly okay to be imperfect and whatever they have is priceless and irreplaceable. Get in touch with her through rockstarmomma88@gmail.com or by using the contact form below for projects, collaborations, media launches, product reviews or just to say Hi! She would love to hear from you!